Tarot Dactyl: The DNA of Spirit? 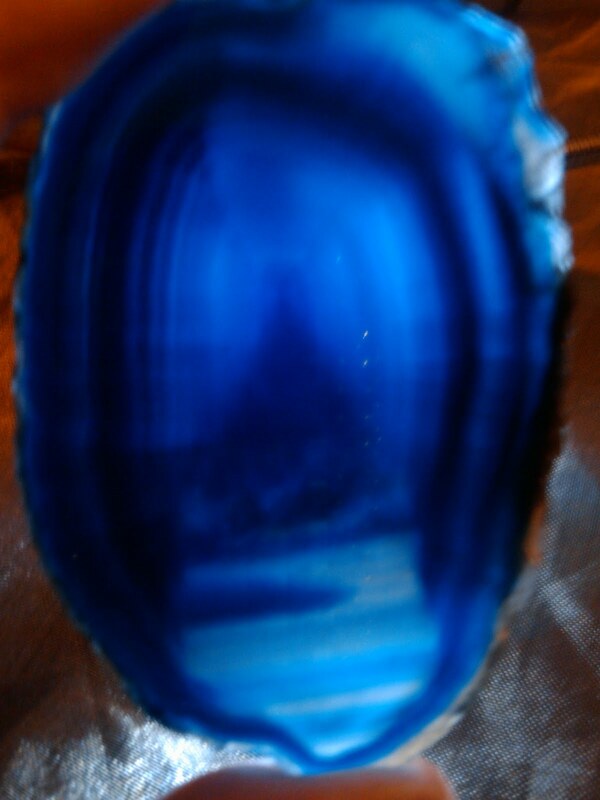 Recently while meditating with my blue agate slice with the intention of perusing the Akashic Records, I received the following information: My guides have always been with me. From the early beginnings of my ancient maternal ancestor until now. They've always been my guides. And we've always been connected through my maternal ancestral DNA. Let me start at the beginning... For some time now I've been meditating with crystals. One particular evening I got a glimpse of the Akashic Records and have been trying to learn more about them through meditation. Lately, however, as I head in that direction up the stairs of the crystal down the long hallway, I get waylaid by some wild insight about something else entirely and tend to not make it to the hall of records. But, you can follow my quest on my Tarot Guild blog. I don't really know much about my guides, only their names. So the other day, I decided that I would take a break from my quest to revisit the Akashic Records and instead spend some time getting to know my guides, Joshua and Jared. I'd never even seen what they looked like! Were they hot like some are depicted in oracle deck artwork or were they wizened old men or maybe, glowing orbs of light? Well, unfortunately, I didn't get to see them, so I still don't know. Instead I saw maps. Yes, maps. Maps of ancient human migration from the cradle in Africa to the rest of the world. I was pretty confused at first. Then I realized that I had seen this map before. In fact, it was my map. The map of my ancestry. You see, I had had the privilege of participating in an ancestral DNA project that National Geographic was doing a couple years ago. Basically, they took my DNA sample to trace my maternal ancestral DNA. They can trace it back to the first woman from whom we are all descended - Mitochondrial Eve. And, they let you know where your ancestors branched out to as humans migrated out of Africa to populate the world. Here's the wiki for Mitochondrial Eve to give you some background. My ancestors were in Subhaplogroup J. I recieved these results about year ago and read the information that was sent with it and then, sort of forgot it. Like, 'well that's cool... moving on.' Just didn't resonate with me in a major way. Too ancestral at a moment when I was in the now, perhaps. Boy was I surprised when I asked my guides the question "Why are you my spirit guides?" They responded excitedly and right away. They showed me the map of my maternal ancestral DNA and said they'd always been with me - through every step of the way and that they were connected to me through this ancestral strand of maternal DNA. It kind of blew my mind - seemed so simple and so impossible yet felt so true. Then I thought of something. My guides are Joshua and Jared. My maternal ancestry stems from Sub-Haplogroup J... This also invoked an epiphany -- throughout my life, every major lesson (painful or not) was something I learned through someone whose name began with J. This is something I hadn't realized before... after all, why would I - who thinks like that any way? I think it's also interesting to note that subhaplogroup J appeared about 40,000 years ago. Well, 40,000 years ago is when scientists believe "Modern behavior" began. I can't help but wonder now if it isn't also when we became connected to spirit. So, just on the off chance that anyone reading this also happened to get their maternal ancestral DNA tested and talks to their spirit guides. I thought I'd share this with you to see if you'd received similar information. And, for those who talk to their spirit guides, but don't know which suhaplogroup they're from, would you mind asking your guides to see what they say about this? I'd love to hear back from you.